Physical Education is an important cog in the wheel of education. 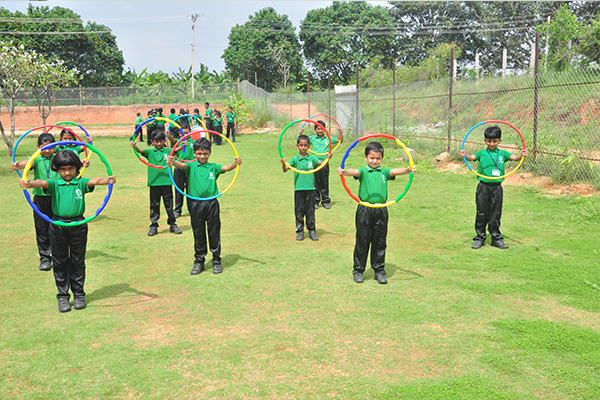 DPS, Mysore Road offers the same importance to Sports as given to academics. 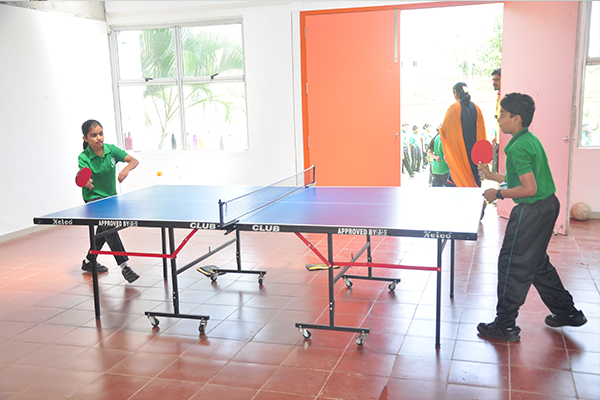 At DPS, students are introduced to various games and sporting events which keeps them motivated and enthusiastic. Sports helps an individual to inculcate habits such as Team Spirit, Leadership Skills, Motivator, Team Player and allows them to express themselves without any inhibitions which in turn helps them to reach the pinnacle of success in their future endeavours. DPS has a magnificent sports field with athletic tracks, football field and cricket ground. Students have been given exposure to various games like Football, Cricket, Handball etc and also are trained in March Past and Mass PT exercises. Sports day is conducted every year in the school which provides a chance to the students to give their best and imbibes competitive spirit and perform to the fullest with great vigour. The school has a spacious Sports Room which holds all the necessary equipments for Indoor and Outdoor Sports and students are always welcome to make use of the facilities provided by the school during the PE classes and in the break time.